The Sailor’s Salute. RPPC. Private Collection. 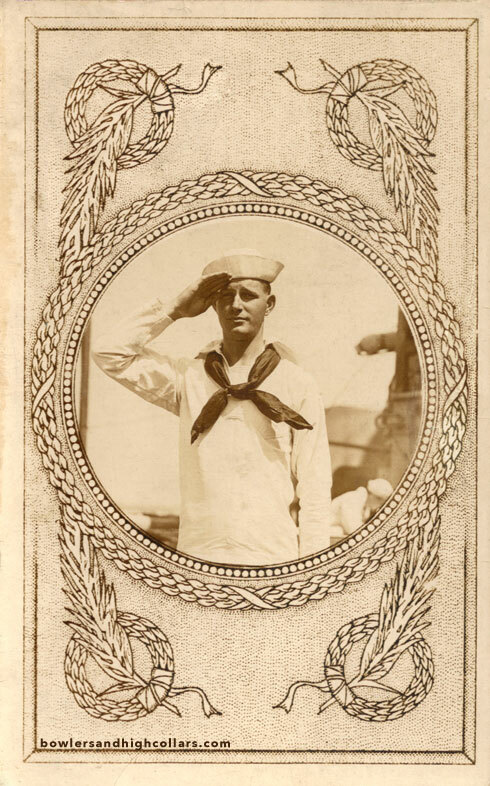 A very beautifully designed RPPC of a sailor saluting aboard a ship with another one in the background. There is a name on the back: Elva. RPPC. The Sailor’s Salute. Private Collection. 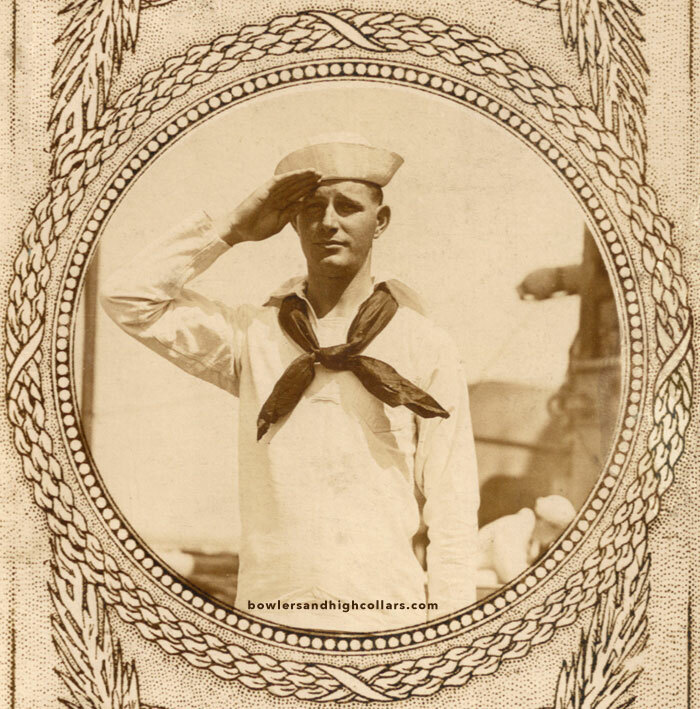 This entry was posted on Sunday, April 26th, 2015 at 10:46 pm	and tagged with 1900s-1910s, military saluting, sailor, sailor saluting, WWI sailor and posted in Military, RPPCs. You can follow any responses to this entry through the RSS 2.0 feed.